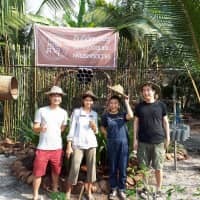 Changing lives: Yu Nakamura's Coconuts Nakamura exports coconut sugar to Europe and Japan from Thailand to help farmers reach higher profit margins. Professional foodie Yu Nakamura, 32, has always felt like a free spirit, more comfortable off-piste than on, even if that means traversing challenging terrain. She likes variety, diversity and, perhaps most importantly, the unexpected. 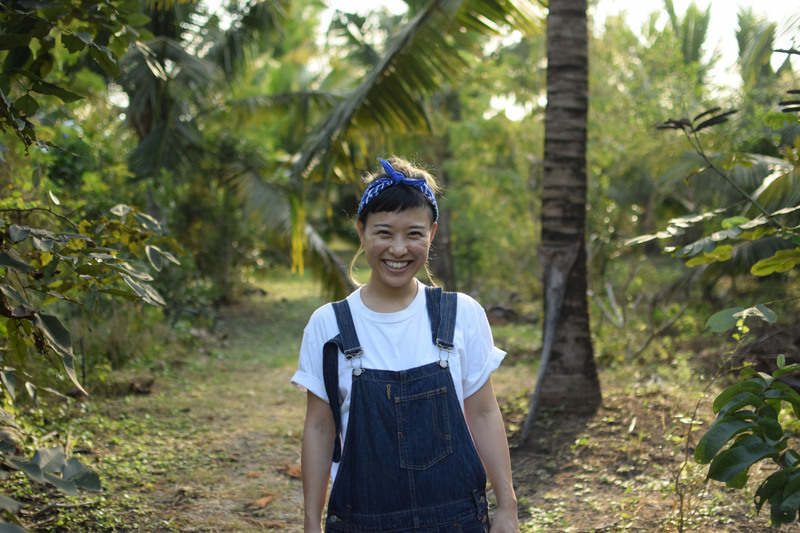 As she marks three years living in Thailand this month, Gifu Prefecture-born Nakamura notes that moving from Tokyo to Bangkok has given her more freedom in her career than she had ever dreamed possible. Arriving in the Southeast Asian country with no work plans and a desire to keep busy in the meantime, she decided to take a trip to different regions to experience the local food culture. Along the way, she met a coconut sugar farmer who, despite a painstakingly slow harvesting process, was having to sell coconut sugar to the domestic market at a cheap rate due to a very low market value. She learned that with its minimal profits, the whole industry was rapidly aging. Despite coconut sugar being a low glycemic index product with great appeal globally, she knew that in Thailand the industry was facing a decline. Seeing an affinity with her earlier work as an author and video journalist covering activities at risk of being lost for future generations in Japan, the seeds were sown for her first Thai business: Coconuts Nakamura, which exports coconut sugar to Japan and Europe where people are willing to pay higher prices. Within a year, Nakamura found a second opportunity, this time importing sake from Japan and natural wine from Europe. 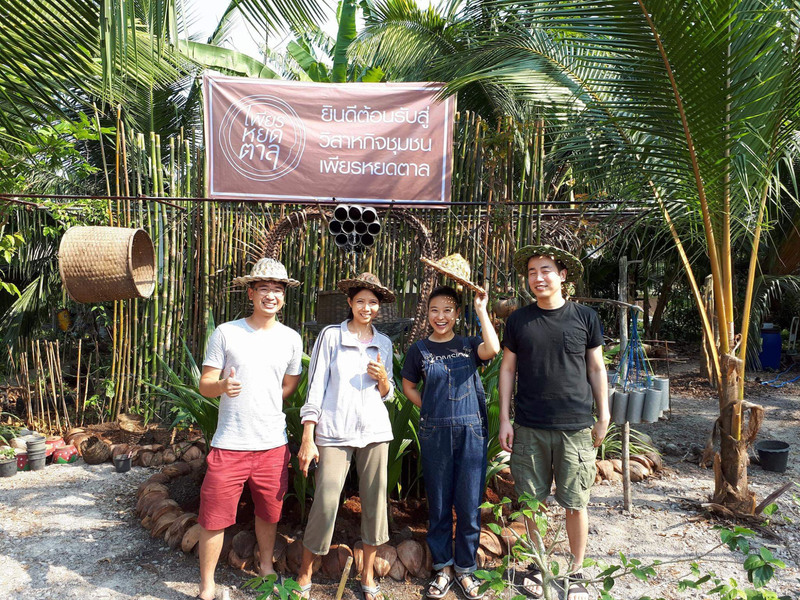 Together with her chef husband and three Thai business partners, she set up Taste Hunters. This year, she also plans to launch a bar serving the drinks with small plates under the Taste Hunters brand. While she applauds the “flexible” systems in Thailand that enable her to set up and run her businesses with ease, she says that they can lead to uncertainty. For example, she explains, unlike Tokyo, she can sell food items on Bangkok’s streets without a permit. Her alcohol imports to the country, however, were halted suddenly after a last-minute change to the law. The 2018 scheduled opening of her Taste Hunters’ bar also had to be postponed due to other unforeseen circumstances. “You don’t know what is happening or what is going to happen; it’s really hard to control (things),” she says of life in Thailand. But it’s the country’s “diverse and creative” approach to work that she says she enjoys, pointing out that a career change is easy and that many people have business interests as well as their day jobs. This proved handy for Nakamura, who left Japan with the intention to explore ways to “create work or a base in another country.” For her, life is about learning, growing as an individual and contributing to future generations — and that, she says, can be done anywhere in the world. Within the next two years, she and her husband are considering relocating to Berlin, to establish a second base outside Japan and do more creative work. It was this passion for personal and community development that, in 2010, led her to her quit a sought-after graduate role in Tokyo after just two months and instead work part time for two people who inspired her. She became a sous-chef at Kitchen Watarigarasu, owned by Hideki Murakami, and a culinary editor at Taraxacum Company, run by Yuuki Kakihara. “I liked their personalities and what they were doing, so I wanted to learn from them. I told them I would do any (job),” she remembers. Nakamura admits that she was also driven by curiosity — could she survive as a freelancer, particularly within the food industry, when her degree was in law and her only experience of cooking was as a hobby? She held both jobs for a few years, seizing opportunities to meet people and travel in Japan. When she found something of interest, she used her freedom to develop it. Soon, she had a number of ongoing projects while still working as a caterer and food writer. One example is her book “Grandma’s Happy Recipes” and its original series of YouTube videos featuring elderly women in rural Japan making traditional meals. Her success led to her being selected as a Global Shaper for the World Economic Forum’s community of young innovators in 2015 and as a Young Cultural Innovator at the Salzburg Global Seminar in 2016. Nakamura hopes that Taste Hunters, her newest business, will build on this work. 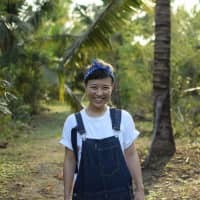 She has visited all the makers of sake and plans to introduce Thailand to not only the beverages, but also the brewers, to help raise awareness of their skills and the need to preserve them. She believes, though, that this work will be difficult due to a lack of information or education about food and drink in Thailand, apart from among the elite. “If we want to change (what people consume), we need to talk to everyone, not only those who have money, but that’s harder than in Japan,” she says. Her determination and perseverance to find success in Bangkok, however, rests on the positivity and kindness of the people that have allowed her to settle in her second home.